Big Bang Upcoming COncerts in 2010!!! In late January of 2010, Big Bang is planning a concert in Korea titled 2010 Big Bang Concert Big Show. In February they plan on something special for Japan as well. “2010 Big Bang Concert Big Show” will be held on January 29th, 30th and 31st of 2010 in Seoul Olympic Stadium. This concert will be all the more special for the Korean fans because Big Bang has spent a lot of time in Japan these days for their Japanese promotions. Now they are back to please their motherland fans and show them some new group and solo material. The tickets go on sale starting the 28th! Shortly after confirming the absence of DBSK and Jaebeom from the 2009 Dream Concert, the new MCs have now been decided and announced. The organizers have decided to keep it as the same from last year, with Song Ji Hyo and Kim Heechul once again chosen to host the annual concert extravaganza. As former MCs of Inkigayo, their expectations for this event are high. Fans are awaiting to see their chemistry since they are hosting the same concert once more. Rain’s Coming! 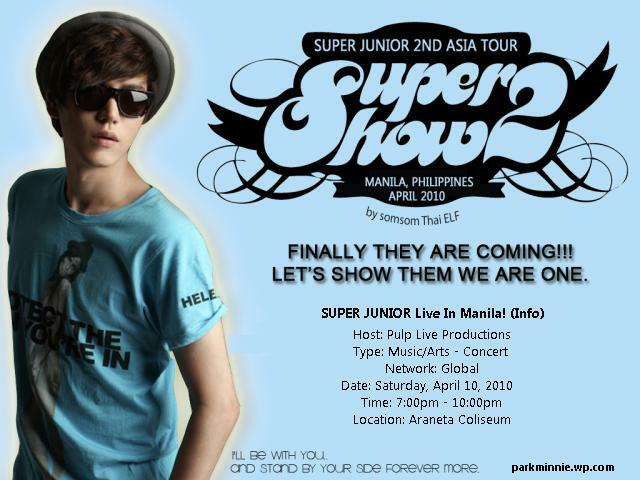 Full Asia Concert Tour this August 2009! Stormy clouds ahead for Asia as Rain / Bi is coming to a city near you for a full Asia concert tour in August. The concert tour is titled “Legend of Rainism,” and will kick off in Japan. Then he’ll go through various cities in China and Southeast Asia. A Concert in Seoul is currently under negotiations and cannot be confirmed. At the moment there isn’t any specifics in terms of date times, cities, and venues. His management company, J. Tune Entertainment just released broad information stating that this concert tour will be occurring next month. This will be Rain’s first concert tour in more than two years, so fans across Asia will be anxiously anticipating his return. Originally, Rain’s management wanted to go to more cities however it had to be downsized due to his promotional activities for Ninja Assassin, which is scheduled to be released on November 25th. The Clouds must be brewing in a frenzy as they anticipate Rain’s return. Wow! I just got addicted to his Rainism these past few days and then…this! Haha! On June 25th, more than 2000 people tried to fit inside a 400 person venue for Big Bang’s “My Heaven Event.” This time they held it outside at Yoyogi Park, and the turnout was even bigger this time around. More than 8000 fans attended Big Bang’s Live Event at Yoyogi Park in Japan. Anyone who displayed their Japanese singles of either “My Heaven” or “Gara Gara Go” were allowed free entrance to the event. Tohoshinki sponsored by Nikkan Sports is performing for 2009 Meiji Jingu Fireworks Festival on August 6th and thousands fireworks will be lighted up to decorate a beautiful stage. As soon as the official announcement that Tohoshinki would make appearance at the event was out on June 5th, the whole tickets of the event were sold out and some tickets are already traded on internet auction site. 12,000 fireworks will be shot to decorate the night sky at Jingu Stadium and live show is held at 4 locations at National Stadium. Tohoshinki’s arena at the National Stadium is available for more than 50,000 audiences. In case of the sold out ticket, the event organizer commented “I haven’t been able to sell all the tickets of this event before. This is, yet again, shows the power of Tohoshinki.” He didn’t hide his surprise. 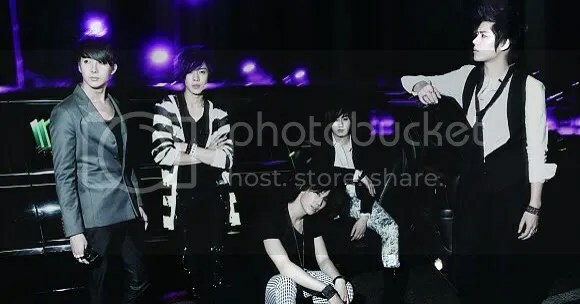 SS501 To Have First Asia Concert Tour!! Just like Super Junior of SM Entertainment, SS501 from DSP Entertainment will also be embarking on their 1st concert tour in Asia called Persona. After the release of their 2nd full-length album at the end of July, the boys will begin the first leg of their concert tour in Seoul on 1st August. From there, they will be flying to Japan, China, Hong Kong, Taiwan and Thailand, etc for their concert tour until the end of the year. Popular Japanese group KAT-TUN who’s had an 8-day concert @ Tokyo Dome this May 15-22 may qualify for Guinness. On Friday, popular boy band KAT-TUN completed their record-setting run of eight consecutive days of concerts at the Tokyo Dome. With a full house of about 55,000 fans at each show, a total of roughly 440,000 people attended the concerts. Last year, KAT-TUN performed four consecutive days at the Dome. At the time, it tied for the record with British rocker Sting, who also did a four-day stretch there in 1988. However, KAT-TUN’s recent concerts have now doubled that record. Their management agency, Johnny’s Jimusho, is hoping to have this achievement officially recognized as a Guinness World Record under “most consecutive concerts at a venue with a capacity of 50,000.” It appears that someone affiliated with Guinness happened to be at the Tokyo Dome, so the agency has requested verification of the record. With the success of these concerts, KAT-TUN has scheduled many more to extend their tour. They had originally planned for these 8 shows to be followed by 3 at Osaka Dome on May 29-31 and 2 more at Tokyo Dome on June 14-15. They have now added 17 more shows in 6 other cities, starting in July.